We love room makeovers—like this recent dining room refresh—that are all about re-imagining a space without replacing everything. Decorist customer Lisa came to us because she wanted a style overhaul of her living room, without replacing her recently re-upholstered and lacquered dining room chairs. 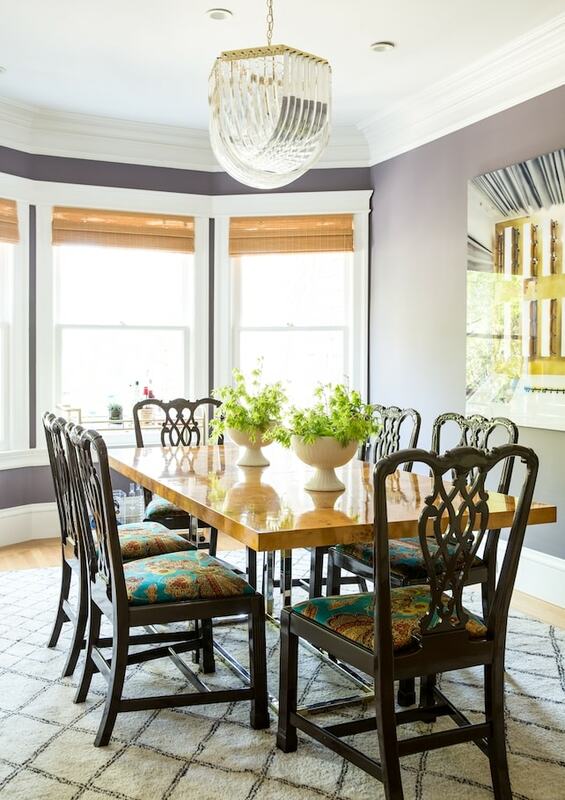 Here’s what Lisa shared with her Decorist designer Ashley: “I have done a number of things to make my dining room feel less traditional (like paint the walls an unexpected color! ), but it’s still not where I want it to be. I think it’s time to part with the wood dining room and console table passed down by my grandparents. There’s just too much wood going on and the room feels dark. 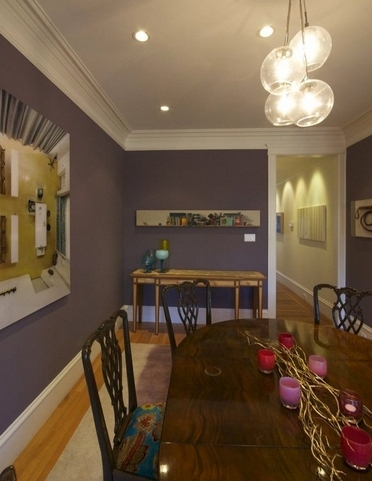 But I still really love my dining room chairs and would love to incorporate them." 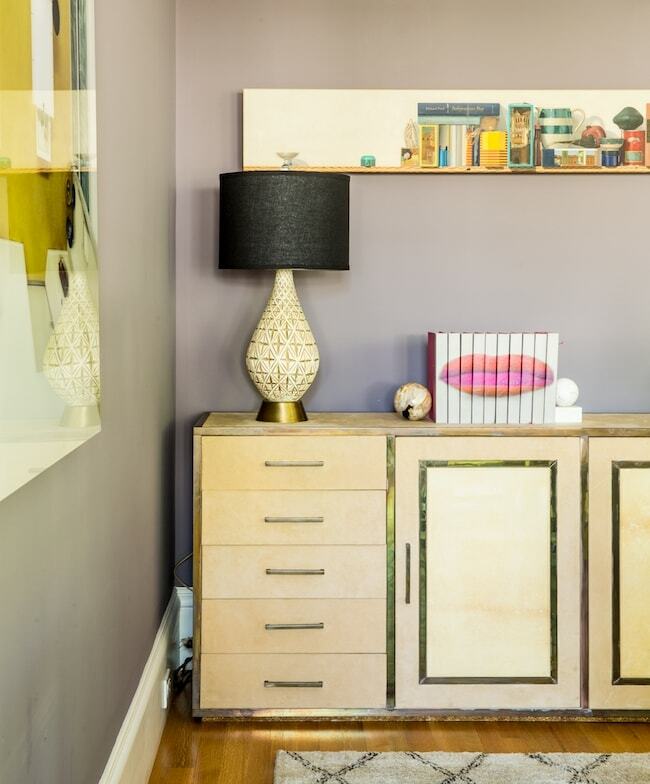 Atop the vintage credenza sits a pair of lips…OK it’s a set of decorative lip books but aren’t they fab? Smooch. 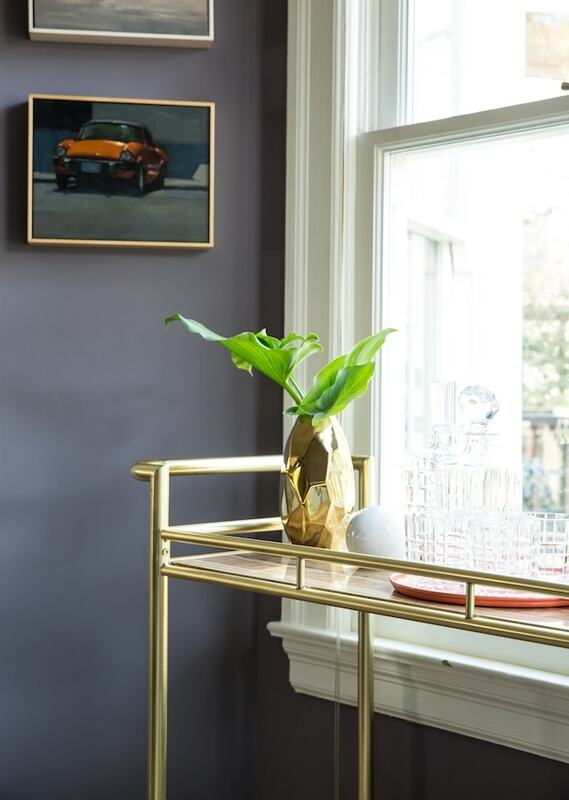 Ashley scouted them out on Overstock, yup, and thought they would add a fabulous dose of feminine to the room (full disclosure: they're out of stock at the moment but you can sign up to be notified when they've made a comeback!). Doesn’t this Nate Berkus gold faceted vase look perfect with greenery? Leaves are the new flower. So chic!